It is race week in Knoxville! This year I am a race director for the Knoxville Track Club and have spent the past couple of months putting together details of this event. Our managing director and events planner have done most of the work, but I’ve had fun doing my part. The best part was designing the t-shirt (and no, it isn’t pink). This week is nothing but a super long to-do list and I could not be happier. All this stress has done one thing for me: make me thirsty! 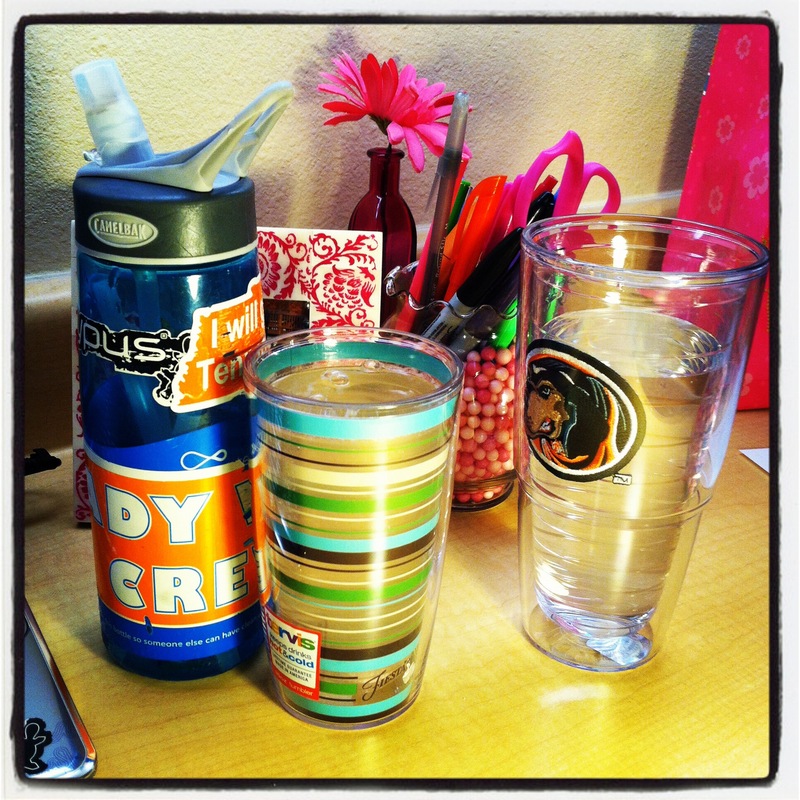 I seriously have not stopped drinking (water) all weekend! Thirsty thirsty thirsty. Maybe stress is a good think? This is my week of classes for the semester so in about ten days I will be moving home for the summer. I’m a tiny bit sad because I love city life and I love being able to get anywhere really fast, but at the same time I am excited to spend the summer with my Momma, AL, and Big Sis. However I will be taking summer school so the drive to Knoxville every day won’t be so fun, but beggars can’t be choosers. Sister texted me today and said “So totally wish you were home already. I need to walk.” Bless her heart! It is almost time! This summer is going to be one big photo op. So excited!! 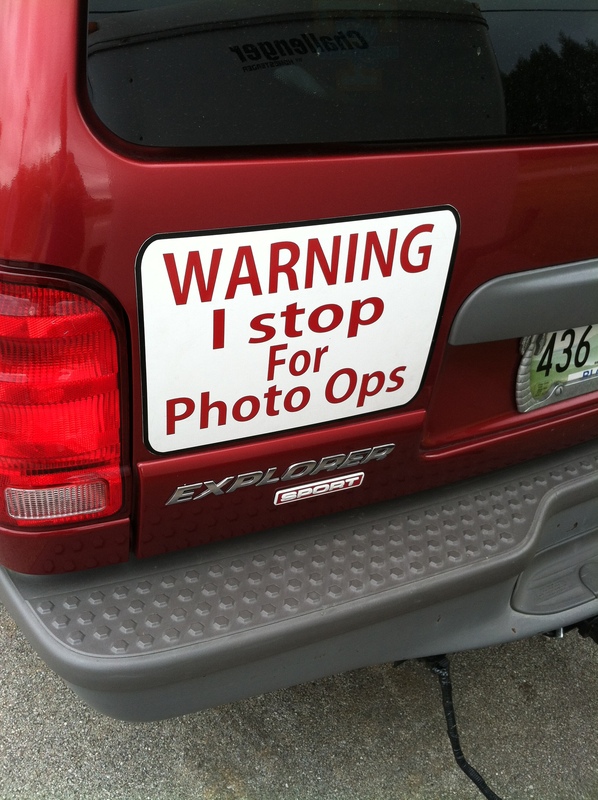 saw this on a car this weekend. I wish it was almost time for watermelon season. I’ve been loving me some bananas lately. The only thing about them is that I like to buy them at a certain degree of yellow and then they only last for a day or two. Any suggestions on making them last longer? I won’t eat them if they are brown! Since I only grocery shop once per week, it is a little inconvenient to have to keep running back for just bananas. This week is going to be off the charts crazy for me but one thing that I’ve learned in life thus far is that nothing is ever as bad as it seems. The dayplanner might be a rainbow of colors from the highlighting and to-do lists, but somehow it always gets done and even if it doesn’t then guess what…it is OKAY. Happy Monday! Are you running today? How was your weekend? What makes you thirsty? When you were in college did you live at home during the summer? Please tell me you are a banana fan! Yay! I have the same banana issue… I read some where that when you buy then pull them apart so you have individual bananas. I have to only buy like 3-4 at a time and buy them just the right shade of yellow to be able to eat them. I will buy at least 2 perfect bananas and the others will have just a hint of green still so that I know they won’t brown within a day or two. I usually didn’t go home in the summers, but I did typically work or go somewhere new to work so it was always exciting. 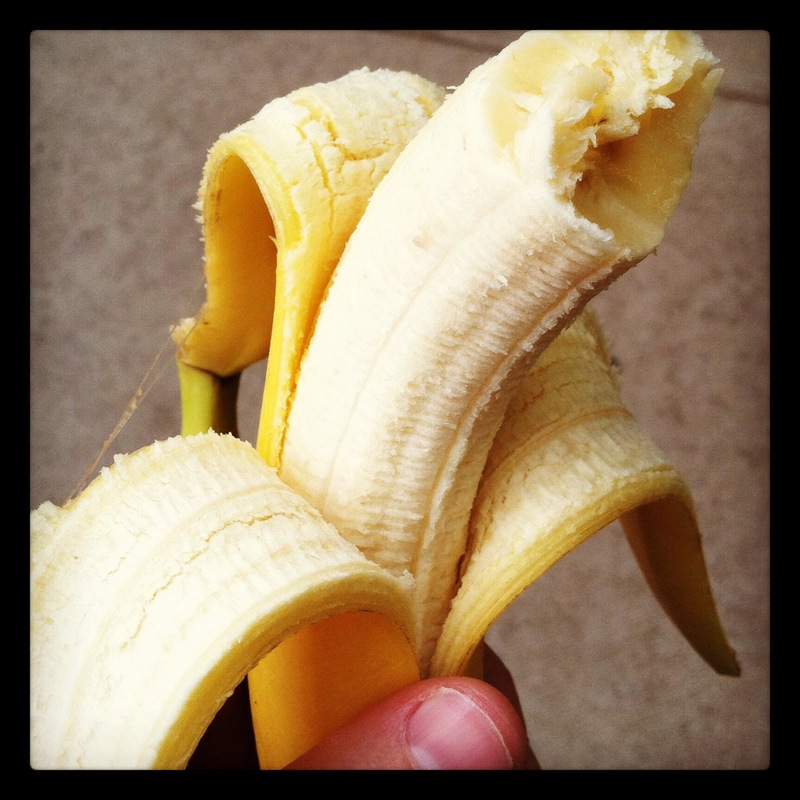 No banana advice – I really don’t like them! Enjoying a lovely Monday rest day today. Enjoy your last week of classes for the year! so cool that you are the race DIRECTOR. ummm that is amazing. and sounds so tough! i am sure it will be a fantastic race. im definitely looking forward to hearing about it 🙂 oh. and i am the SAME way about my bananas!! Sounds like you have a busy week!! I only stayed in Knoxville one summer. I was planning to stay all summer, got approved to take 15 hours, and then I decided there was no way I was going to make it without a break going home, so I took all 15 hours in June. It was crazy, awful, terrible!! But, it also makes me think of bananas. I took two PB&J sandwiches to campus with me every day, but I went to the UC and bought a banana everyday. I was like you, didn’t grocery shop often enough to keep bananas good. Have a great last week, and good luck with the race!